Pro Series Premium Play Pack. The purchase of your own pool table is a big event. It sometimes leaves you with not as much money to spend on the necessary accessories as you would like. This complete billiard table accessory kit provides the best way to get all of the accessories you need in one compact and economical box. 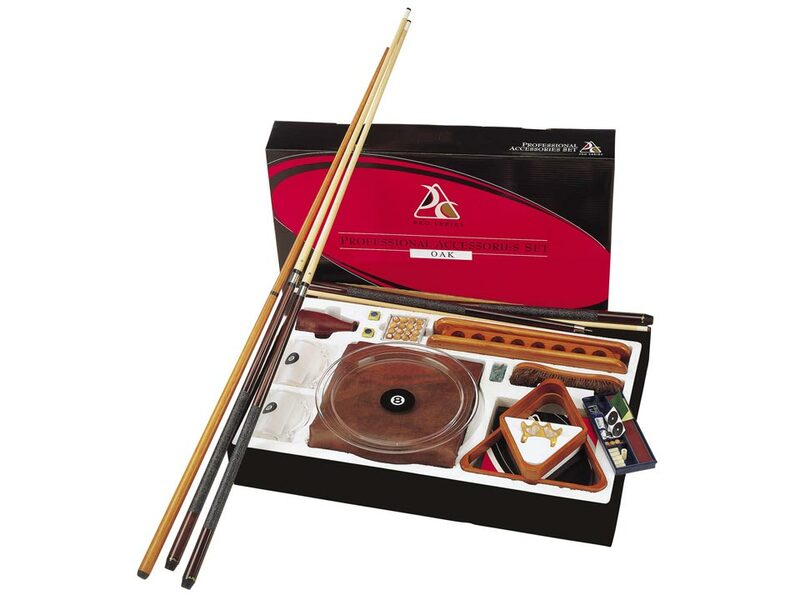 This set includes Players cues, not cheap raminwood cues. The Players cue line offers quality and style at affordable prices. Pro Series Play Packs come in true American stains and lacquers specially formulated to match those used by the top four billiard table manufacturers. Upgrade your play pack with Aramith balls. Simply choose the no ball (NB) option, and ask your sales representative for details.